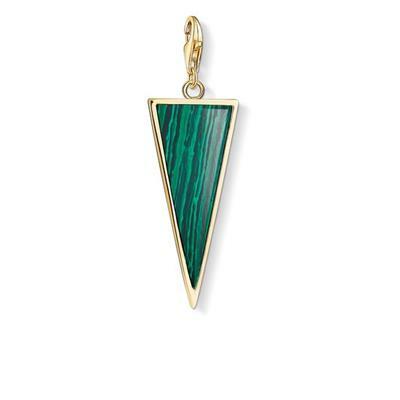 This minimalist pendant is made from Gold-Plated 925 Sterling Silver, with malachite details. Add to any Thomas Sabo charm necklace for a chic necklace, and layer with other charms for a show-stopping look. This is one of the oversized designs, and looks best when worn on a necklace.